I sent the report to you via e-mail. Check it out and see what you think. I sent you my report. See what you think. They both are close other than it all at once having a VIN now and not then. I see what you mean Danny. Same car, same engine, 2 reports that contradict each other. Hmmm, why would there be 2 reports by the same guy that are so different within such a small time range. You would think he would have kept the old report or had it with him when he reinspected the car right? On Danny's original report it just states "No VIN on deck". It said nothing about the oil filter area. Either no one looked for the VIN by the oil filter or it was added after Danny sold the car. Very confusing. Jerry checked by the filter and there was no VIN. That is what pisses me off now is that he suddenly finds a VIN there and verifies it as original. It was not there so obviously it was stamped there after I sold the car. Danny, since you stated over and over "Jerry checked by the filter" did you check there as well or only Jerry? Yes. I checked also and was with him when he did the report. No VIN there. As far as I'm concerned the report isn't worth the paper it's printed on! What a waste! So 2 reports, so 2 fees for inspecting the same car. I get it now if they called and asked if a report was already done, there is no money to be made. It makes you wonder how many cars are out there that are NOW numbers matching again, after the fact of not having the original block. Or how many new Z/28 are being added to the original 20,302, by a well known Camaro inspector/judge. also Kurt says he noted years ago that it had the original vin stamped block. How many years ago did you own it? How many years ago did Kurt observe an original stamped block??? I owned the car in 2008. This dealer has had this car for some time now. When they first put it on the market I emailed them and told them it wasn't confirmed as a numbers car. Here is the email and their response. I owned that car a few years ago. Jerry McNeish did an inspection on the car to verify numbers matching. The car is early enough that it should have had the VIN on the engine pad and also no numbers were on the engine near the oil filter like there are now. Just wanted to make you aware that since I sold the car that someone has stamped numbers there. There are lots of restamped cars out there now. I know of one in my area bought by a dealer at a Mecum Auction that is totally fake with restamping and repro trim tag. He now has to take things to court. I can verify that the car you have is real but can't be guaranteed to have the original engine. If I were you I would find out who stamped the engine because you may end up being sued if someone buys it and finds out it has been stamped recently. 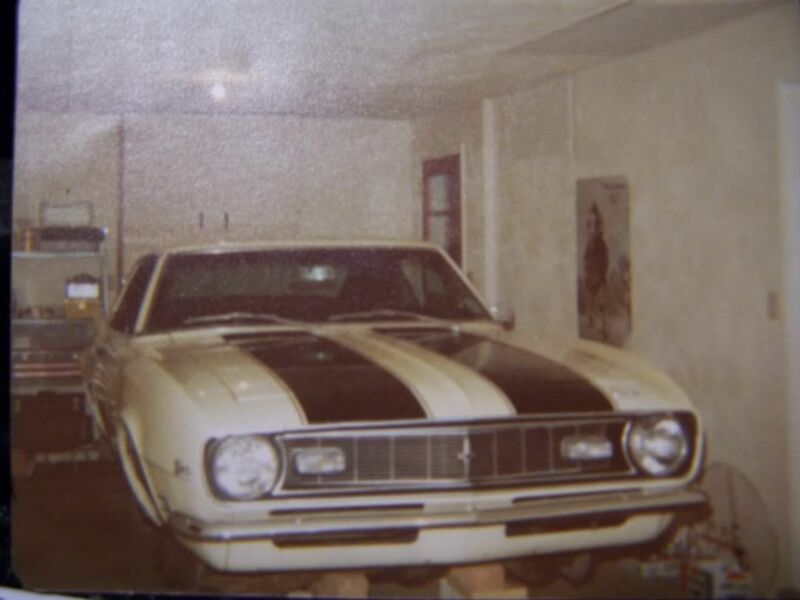 When you say you owned the car a few years ago, was that before or after it was restored by RK Collection in Concord, NC? Now why would they reply asking me that? They restored the car and still have it. My email to them was on June 28 2012. Look at the date of the inspection they had done. Looks to me like Aug. 8 2012. So once I called them out on it they had Jerry do a new inspection. I didn't know restoring meant stamping numbers? Did they get it from the person you sold it to or you have any ideas? I think they bought it from the dealer I sold it to. Just curious... Do you have pictures of the VIN tag and the unstamped pad when you owned the car? Have you contacted Jerry about this recently? No pictures. The pad was only stamped with assembly date. The only contact with Jerry was I emailed him to get a copy of report since I gave mine up when I sold the car. At that time I told him about the car being on eBay and now having a VIN stamped by the filter. Also reminded him we found none when he did inspection. He had no comment on it and just sent me the report. I emailed him in late April and he didn't respond until early June.